We want you to know that you are in the best hands. That’s why we only show our own photographs. 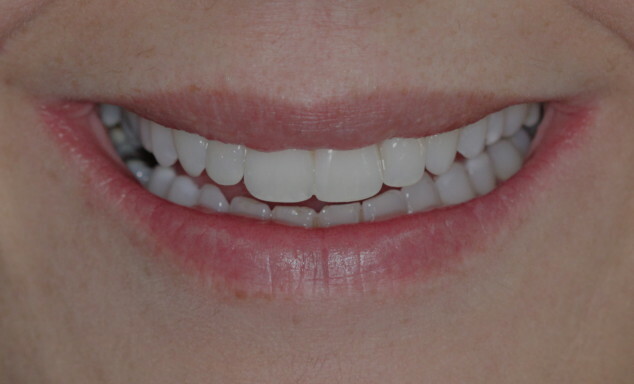 You can have great confidence in us, knowing that every smile you see here is one of our happy patients! 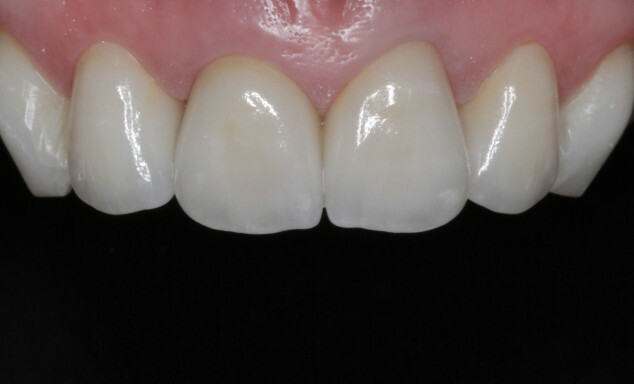 "Beautiful dentistry is invisible dentistry." 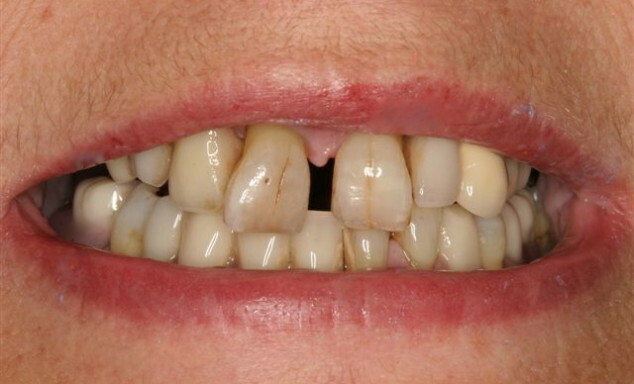 For the replacement of lost teeth, dental implants are quite simply the gold standard. Dental implants have been available for many years and are commonplace in the USA and parts of Europe. 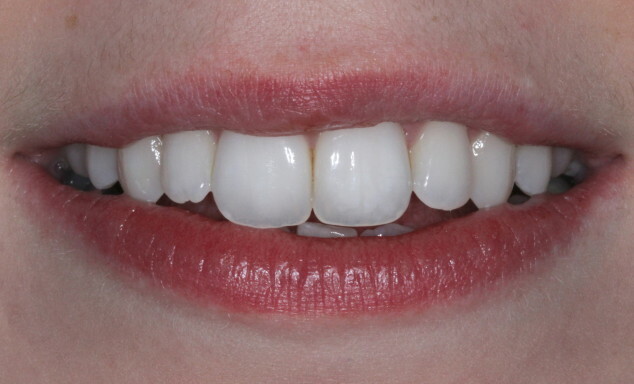 Being permanently fixed, they become as secure and natural-feeling as your own teeth. Many adults spend their entire lives covering their mouths when they laugh, smile or talk. 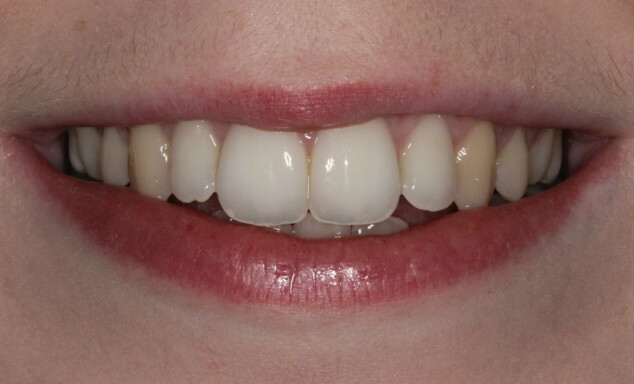 Six Month Smiles is the effective, safe and affordable cosmetic solution. 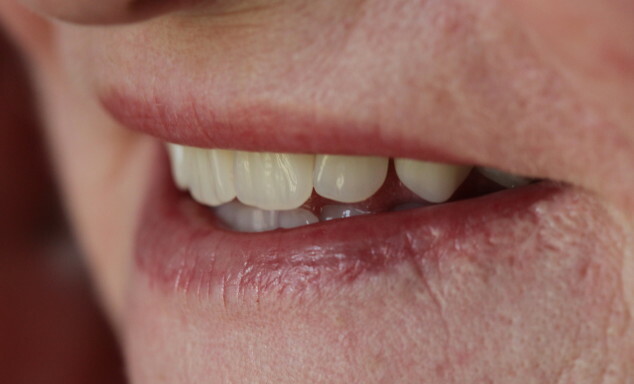 We believe that the quality of a patient’s denture can greatly affect their health and wellbeing. At Galgorm we are honoured to work with our multi award-winning denture technician who is arguably the finest in the UK. At Galgorm Dental we are proud to offer affordable, high quality dental care for the whole family. We firmly believe that prevention is better than cure, and by placing a strong emphasis on preventative care, help all patients achieve their oral health goals. 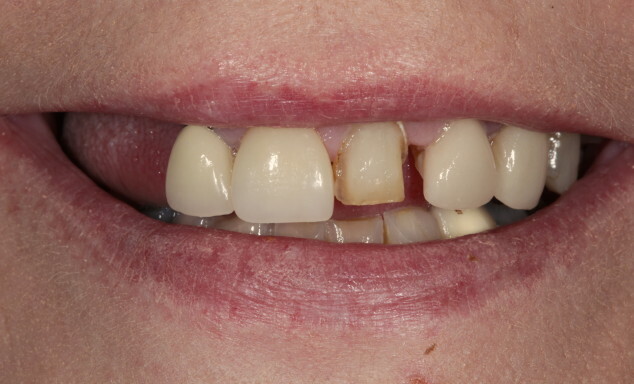 This patient hated her bulky plastic denture and often did not wear it around the house if she thought no one would call. 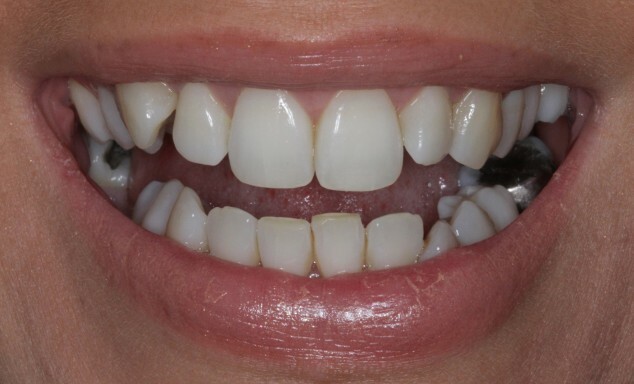 Giving her fixed back teeth again on implants allowed her to chew normally, and using smile design to change the colour, shape and length of her own upper teeth allowed her to smile confidently again. 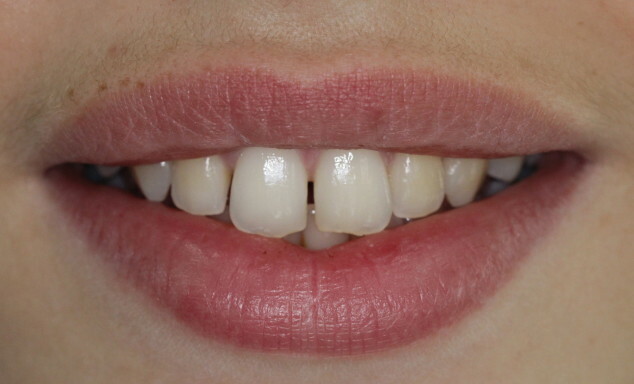 Traditionally the way a failing back tooth would have been replaced is to drill sound tooth away from the teeth on either side of the gap to make a bridge. This only weakens and overloads the other teeth with time. 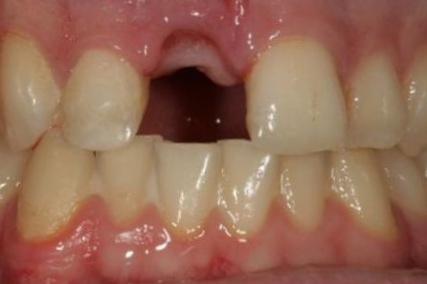 An implant checked with a CT scan solves this without the damage to the other teeth. It is individual, natural and incredibly strong. 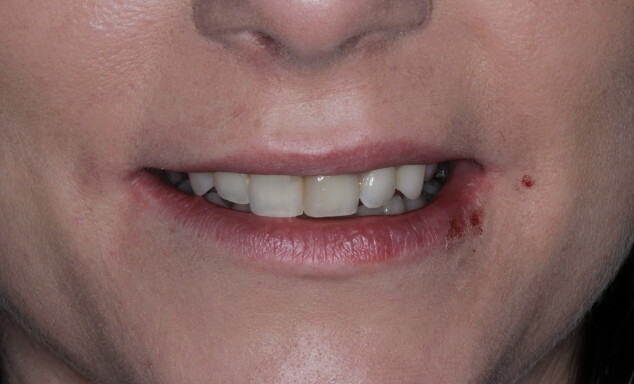 This young patient did not want the old fashioned solutions for his sporting injury of a bridge or a denture. 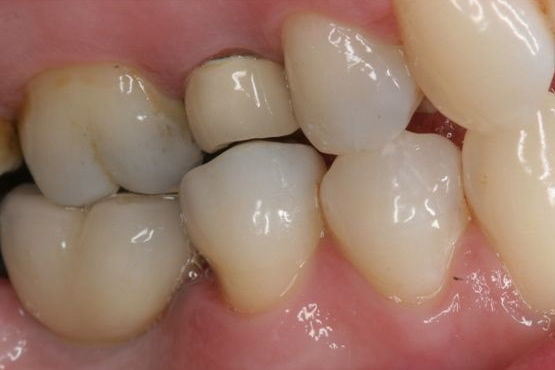 The implant is a natural looking individual tooth that emerges from the gum like his own tooth did. It is made of titanium under the gum so incredibly strong and over a lifetime needs a lot less maintenance. 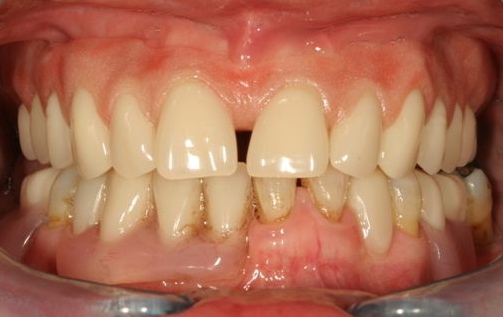 This patient’s remaining UPPER teeth were very loose causing problems with eating, laughing and smiling. 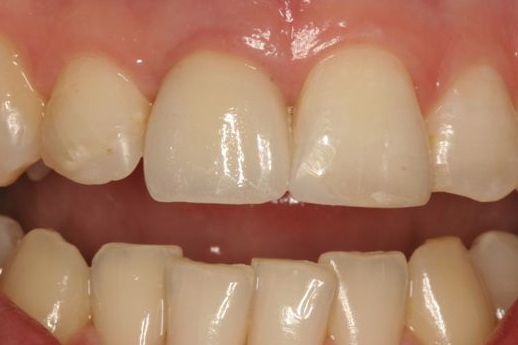 We removed the loose teeth, placed 4 dental implants and made a denture which clips securely onto the implants. The now secure denture allows the patient to smile, laugh and eat confidently and comfortably. Implant retained dentures do not need to cover the roof of the mouth and patients always remark on their increased sense of taste. 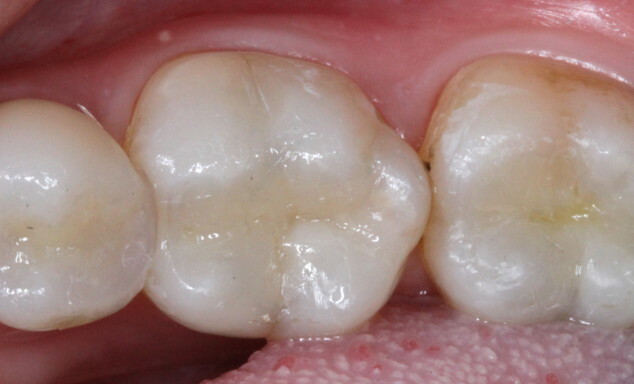 Crowns protect and strengthen heavily filled, cracked or damaged teeth. At Galgorm Dental, we pay meticulous attention to detail in making crowns that look as real as nature intended. The results speak for themselves. Our premium home whitening system has proven itself time and time again. Our bespoke clear trays are worn in the comfort of your own home at night or weekends, achieving excellent results in 7-10 days. 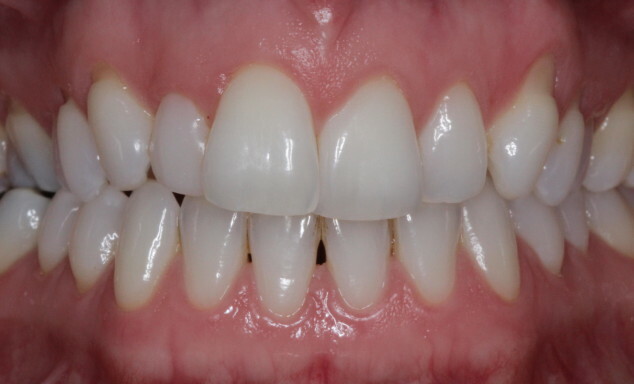 We have lots of experience helping patients who have had problems with whitening in the past. 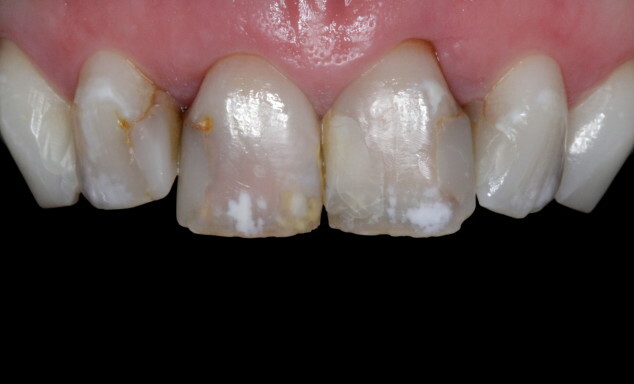 As a modern practice we are advocates of white fillings. They are stronger and more durable than silver amalgam fillings and they can be perfectly matched to your tooth’s natural colour. 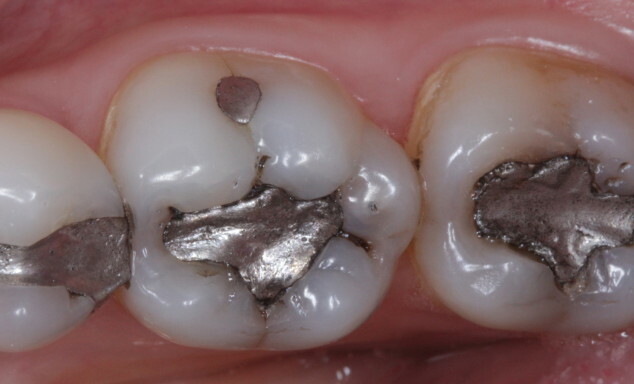 Whether you need a new filling or would like to replace an old silver filling with the new tooth-coloured variety, we can help you. 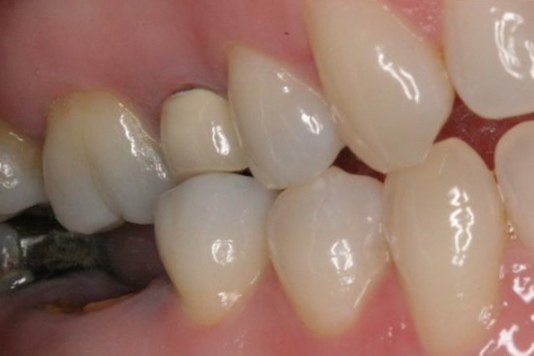 Aesthetic bonding combines the artistic skills of the dentist with the most modern composite filling materials. 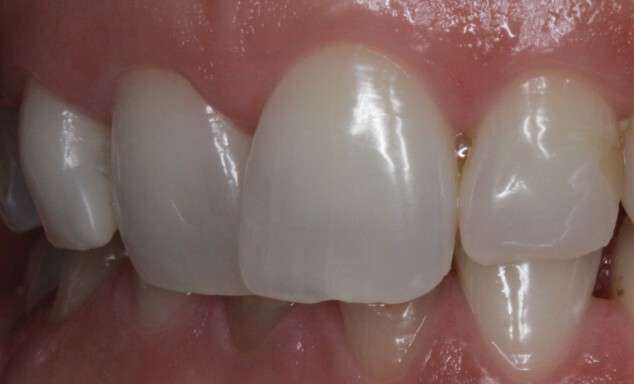 By carefully matching the shade of composite to the natural tooth, we can seamlessly repair cracks, fractures and even fill gaps to give the most desirable aesthetic results. 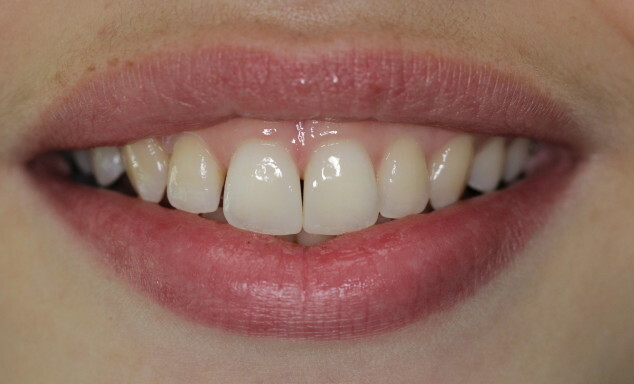 This is usually done in a single appointment and without the need for anaesthetic. 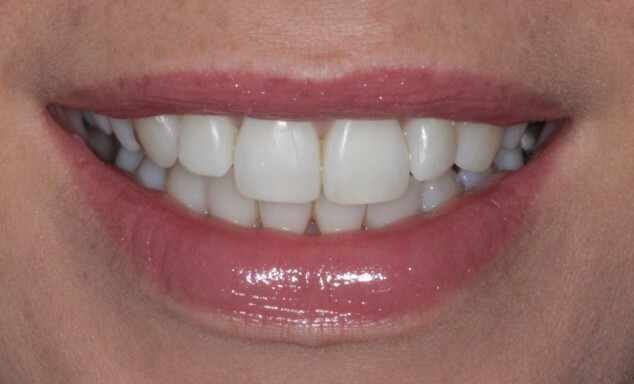 Often tooth whitening and aesthetic bonding alone can resurrect a faded smile. 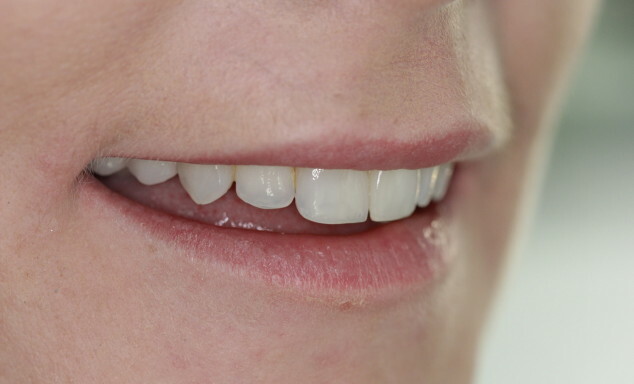 Sometimes a tooth can appear darker than the rest, and at the front of the mouth this can really affect how we feel about our smile. 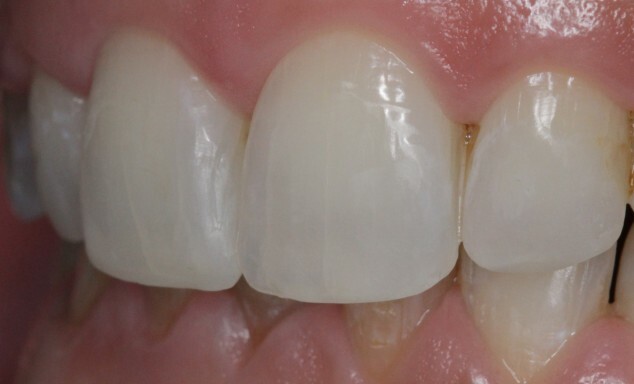 This darkening often follows a root filling or a knock on the tooth but thankfully most cases can be treated very effectively with internal tooth whitening. The Six Month Smiles system uses state-of-the-art technology to help move teeth quickly, comfortably and discreetly resulting in straight, healthy teeth and ultimately a beautiful smile. Six Month Smiles clear brackets and tooth-coloured wires are barely visible with average treatment times of only six months. 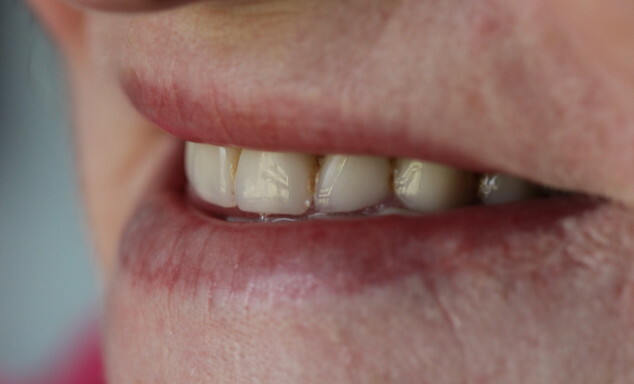 Dentures are more than “false teeth”. Well designed dentures do not only replace missing teeth, they replace lost gum tissue giving support and volume to “sunken in” cheeks. Restoring these natural facial contours can easily make patients look years younger and give a whole new lease of life. This can be life-changing for patients who have had problems with “wobbly” dentures in the past. 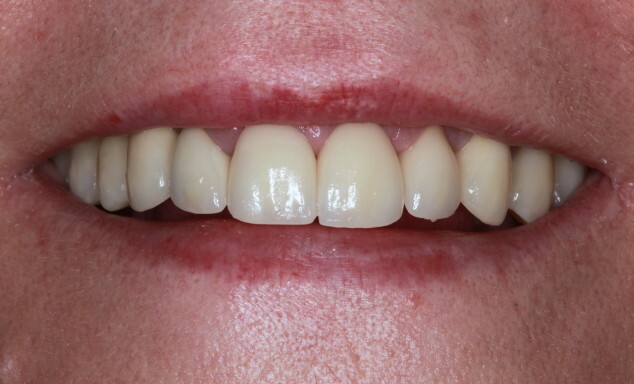 This UPPER denture is held securely in place by 4 dental implants allowing this patient to bite, chew, smile and laugh comfortably and confidently. Galgorm Dental Copyright ©2019. All rights reserved.